Although this is getting posted three months after I arrived in Paris, I felt like getting through my first month living on my own in a foreign country with a foreign language was kind of a big deal, and in addition to that, I hadn’t been up close and personal with the Eiffel Tower until this day, so I wanted to post about it. This also happened to take place during the time when I was also spending my first week completely alone. Danielle, the woman who I live with, left for a ski trip at the end of January/first week of February, and I had the apartment to myself for a little over a week. Of course I’ve stayed home alone before, but at most for a weekend, never for a whole week, so I really felt like an adult here! She left that morning, (January 31st), which was a Saturday, so I definitely wanted to do something, and I thought about how I had only seen the Eiffel Tower from really far away so I decided to go see it, and then maybe do some exploring/museums or something after. Place du Trocadero is a really pretty area just east of the Eiffel Tower with gardens, museums, etc., and the buildings are really pretty themselves. It’s also a great place to take touristy pictures and start your walk to the tower. I took some pictures, and some selfies, of course, and started walking towards the tower. I didn’t really have the intention to go up to the upper levels, just wanted to go look at it from up close and then figure out where I would go next. As you walk away from Trocadero, and towards the tower, there are statues and large fountains, but since it is the winter, they had no water. I couldn’t resist taking a silly picture! And some more Eiffel Tower pictures, as if it looks different in different pictures..
As I was walking, the sun was somewhat out, I was feeling pretty good, and there weren’t that many tourists out.. Actually, there were a ton of people there by regular standards, but for the Eiffel Tower, there really wasn’t that many people compared to when I was there during the summer.. I am dreading tourist season.. Anyway, as I was waiting to cross the street to get to it, I saw a guy drop one of his gloves and didn’t notice, so I picked it up and gave it to him and smiled as I normally would in that situation. He thanked me, and then he asked me if I speak English. I replied yes, and then he asked me if I was alone, and when he realized I was, he asked me if I would be his partner(? ), (I can’t remember exactly how he put it, but it was something along those lines), to go to the tower as he was alone too.. I didn’t really know what to say, so I said I would walk over there with him. He was older than me, I would say early forties, and he told me he was from South Africa. He was visiting for a couple of days while he travels through Europe, and he started asking me questions about myself and trying to get to know me. I told him a little, but was starting to feel uncomfortable, so when we got up close to the tower, I took some pictures, took some pictures of him with his phone, trying to be nice, and was ready to be on my way. He asked me if I wanted to go to the top with him, and I told him I hadn’t really planned on doing that today, but that he should go up. When he saw the line he decided not to. He then asked me if I would help him find a place where he could buy credits for his cell phone, because he needed help with French.. I walked with him around the corner to find a “Tabac” which is like a little convenience store, and he bought what he needed and we walked back towards the tower. He asked me what I was doing after this, and I told him I had plans to go to a museum, which was a lie, but I really wanted to get away from him because he was giving me creepy flirtatious vibes. He was very persistent and said he wanted to come with me, when I shut that down he suggested that we take a horse and carriage ride because he saw one passing by. Again, I shut that down, and finally he suggested that he get my number, I go to the museum and we meet up later for dinner. At this point I just had to be very blunt and tell him I’m not at all interested, because saying I have a boyfriend doesn’t really work here. He kept trying to convince me, but I finally told him I was leaving. He shook my hand really creepily, and I rushed off in the opposite direction. I took some final photos, and then just decided to wander off. I knew he wouldn’t follow me, because I knew he had no idea how to navigate in the city so I figured he wouldn’t want to get lost, but I took somewhat of a confusing path, just in case. This is the one bad thing about being alone in a big city like this, risks of creeps bothering you. Aside from that, I was happy to have finally visited the landmark, after a full month in Paris. It wasn’t too cold, so I was okay with walking with no destination. I passed L’Hôtel national des Invalides, which is a beautiful building that houses the military museum, and the grave of Napoleon Bonaparte. I intend to visit it sometime. I also traversed the Pont Alaxandre III, one of the most famous and beautiful bridges in Paris. 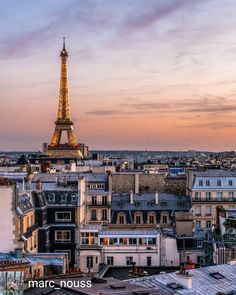 It has really nice lamp posts, sculptures, and some beautiful golden statues on top of four pillars, one on each corner, and from the bridge you have a view of the Eiffel Tower and many other monuments. I didn’t get any great photos of the bridge itself, but I’ll post some in the future! I walked a long way, started getting tired and realized that I didn’t really know anywhere in particular to go, so I hopped on a metro and made my way home. I felt like walking around in a beautiful area of Paris was a good way to celebrate making it through my first month living alone in Paris! 1 down, 4 left to go! will need to…HaHa). You definitely put a brand new spin on a topic which has been discussed for decades.